Founded in 1983, the AIDS Committee of Toronto (ACT) is now a leader in efforts to end AIDS in Toronto. Through HIV and sexual health education, prevention and outreach, we are working towards our vision of a city with zero new HIV infections, zero HIV-related stigma and discrimination, and zero AIDS-related deaths. ACT works to reduce new HIV infections in Toronto and promotes the independence, dignity, health and well-being of people living with HIV and AIDS and those at increased risk of HIV. (located on the east side of Yonge, just south of Wellesley and Wellesley TTC subway station). ACT launched HIVnow in June of 2015 as an opportunity to engage gay, bi, and queer men in meaningful discussions about the changing reality of HIV in Toronto. 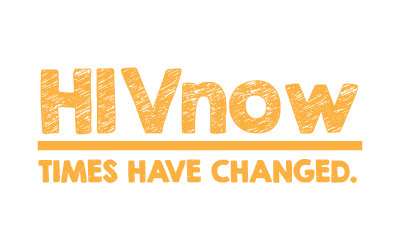 The original website (HIVnow.ca) included up to date information about: PrEP, undetectable viral load, HIV testing guidelines, and criminalization of HIV non-disclosure. In 2017, ACT is excited to share a new iteration of the website with the most up to date information. In response to evolving discussions about PrEP, the Consensus Statement around undetectable viral load, and ultimately access to medications, we endeavor to create a website to further this dialog. and all of our models! These terms of service (“Terms”, “Agreement”) are an agreement between ACT – AIDS Committee of Toronto (“Website operator”, “us”, “we” or “our”) and you (“User” “you” or “your”). This Agreement sets forth the general terms and conditions of your use of the HIVnow.ca website. Please be aware that there may be certain adult or mature content available on this Website. Where there is mature or adult content, individuals who are less than 18 years of age or are not permitted to access such content under the laws of any applicable jurisdiction where they may not access such content. Although this Website may be linked to other websites, we are not, directly or indirectly, implying any approval, association, sponsorship, endorsement, or affiliation with any linked website, unless specifically stated herein. We are not responsible for examining or evaluating, and we do not warrant the offerings of any organizations or the content of their websites. We do not assume any responsibility or liability for the actions, products, services and content of any other third parties. You should carefully review the legal statements and other conditions of use of any website which you access through a link from this Website. Your linking to any other off-site pages or other websites is at your own risk. This Agreement does not transfer from the Website operator to you any Website operator or third party intellectual property, and all right, title, and interest in and to such property will remain (as between the parties) solely with Website operator. All trademarks, service marks, graphics and logos used in connection with our Website are trademarks or registered trademarks of the Website operator or Website operator licensors. Other trademarks, service marks, graphics and logos used in connection with our Website may be the trademarks of other third parties. Your use of our Website grants you no right or license to reproduce or otherwise use any Website operator or third-party trademarks. We reserve the right to modify this Agreement or its policies relating to the Website at any time, effective upon posting of an updated version of this Agreement on the Website. When we do we will revise the updated date at the bottom of this page. Continued use of the Website after any such changes shall constitute your consent to such changes. This document was last updated on March 16, 2017.